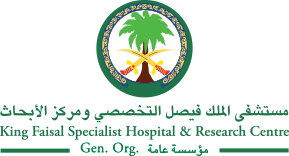 King Faisal Specialist Hospital & Research Center developed SEHATY, a patient portal to facilitate better communications and coordination between patients and the facility. We provide our patients and caregivers feasible, informative, and secured access to their health records. Patients are able to access their medical information from the comfort of their home and perform several tasks related to their care. Please ensure to enter your correct National ID / Iqama Number and Password. Mobile Verification messages are subject to delays based on the traffic at our telecom service provider. Sehaty is a secure online website that gives you convenient 24-hour access to personal health information from anywhere with an Internet connection or using your smart phone by downloading Sehaty from Apple Store or Google Play. You can manage your appointments, view your medical reports, contact patient relations and much more. Only you can access your Sehaty account unless you grant access to someone else. You will also have access to your dependents’ accounts if they are less than 18 years of age. The mission of this portal was driven by promoting “Patient Experiences” through meeting their growing expectations and satisfying their demands by effective engagements through the use of technology as an efficient and effective communication platform. An overview of the most recent information as recorded in your health record, like eligibility information, account balance, allergies, blood type and a summary of your current medications. A graphical display of the dates of your upcoming appointments and lab tests. Keep track of your health and medical conditions by syncing your information across all your smart devices. Currently connected to Fitbit, Withings, and iHealth. View your upcoming appointments, request to reschedule or cancel existing appointments. View a list of Diagnosis as obtained from your KFSHRC electronic health record. View and print your current and inactive medications and learn more details about your medications. View a list of preventive screenings, procedures or immunizations recommended for you based on age, gender and medical history. View a list of immunizations either taken or recommended for you based on age, gender and medical history. Due dates are included to help you decide when to request an immunization. View details of upcoming or completed laboratory and procedure results. Most test results are automatically released into SEHATY, with the exception of certain sensitive confidential tests. View reports of all completed Radiology exams and procedures. Most reports are automatically released into Sehaty, with the exception of certain sensitive exams. View medical reports including discharge summaries or medical evaluations. Most reports are automatically released into Sehaty, with the exception of certain sensitive reports. View values and graphs for your vital signs, height and weight as documented on each visit. View details of completed surgical procedures. View reports of completed Pathology tests and procedures. Most reports are automatically released into Sehaty, with the exception of certain sensitive tests. View and print details of your previous hospital visits to Outpatient, Inpatient and Emergency Department. Request a statement of visits and rate your visits within the first 7 days of your visit to the hospital. View details of your approved medical supplies. Your personal information and emergency contacts. View your dependents’ or people you are authorized to access, give access to others, and view who has access to your records. Provides you the ability to send and track your suggestions or complaints in an easily structured format. Allows you to keep track of all kinds of requests like, medications, appointments or suggestions and complaints. Use your SEHATY account to view your health information and manage your appointments on your mobile devices. Download SEHATY on your device and start benefiting from all the great services we have to offer. Search for SEHATY on the App Store or Android market, or click the links below.